Our baseline data showed that Facebook traffic constituted about 7% of our website visits and 25% of our blog visits. 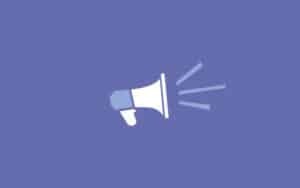 At the time, we were spending $5 per day to promote posts on Facebook to Custom Audiences, including existing donors, e-news subscribers, and general fans. But I wasn’t entirely happy with how those Facebook visitors converted to donors, e-news subscribers, or volunteers. So when Facebook rolled out the Carousel ad structure, I was eager to participate. These are the type of ads you see after you’ve visited the JC Penney website. If you were looking at pants, you’ll soon see a Facebook ad with 3-5 pants, but not all in one image. You can click to the right to see more than just the first few options. Facebook will even begin to optimize for the most popular pair of pants across the ad and audience. So I did something a little daring: I moved from a promoted post ad structure to a carousel ad structure and I decreased the spend from $5 per day to $3 per day. I also did something very daring: I let our regular posts stand on their own. That is, outside of the Carousel ads, if I shared a news article, a photo, or an announcement, it had to reach people organically without a paid boost. This meant our audience would see our regular posts less frequently unless they were high engagers or the post clicked with the magic Facebook algorithm and took a life of its own. But I mitigated that risk by evaluating each piece of content. If it was important enough to warrant financial support, it went into a Carousel ad. (We also Boosted posts occasionally; our regimen wasn’t too strict.) 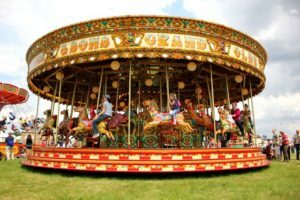 But, overall, our Carousel ads would now contain high-level content: requests for donations, volunteer opportunities, an e-news sign-up ask, and our most popular blog posts. There were also controls in place for this experiment: promoted posts and the carousel ads were optimized for conversions when traffic was directed to the website. They also both targeted custom audiences: our fans, e-news subscribers, and donors. So we didn’t change those settings from one mode to another. What happened when we switched from Promoted Posts to Carousel Facebook ads and decreased the spend? On our website, comparing a two-and-a-half-month period to the previous period, there was a 14.6% decline in overall Facebook traffic. “Overall” meaning both paid and unpaid traffic from Facebook. But the e-commerce conversion rate – donations – increased nearly 135%! On our blog, we saw an increase of nearly 41% in Facebook visits. This experiment blew my mind a little bit, but also made me happy. First, it meant I could raise more money with less money for my non-profit. It also indicated we were honing in on a specific audience. Rather than general fans, we were optimizing for donations and could continue to drive that number up. And while the decrease in website visitors is a little sad, it really meant that we were driving more effective traffic to our website and not just going for the broad (less effective) strokes. There was an added bonus of moving to the carousel Facebook ads. I could get a much better picture of which messages, photos, or content were really working for us. When we were just promoting posts, the strategy was to share our own major news, industry news, our press clips, and then regular asks for donations and e-news sign-ups. But, with the carousel ads, not only did Facebook optimize for the best performing content within the 2-5 ad slots, but I could too. 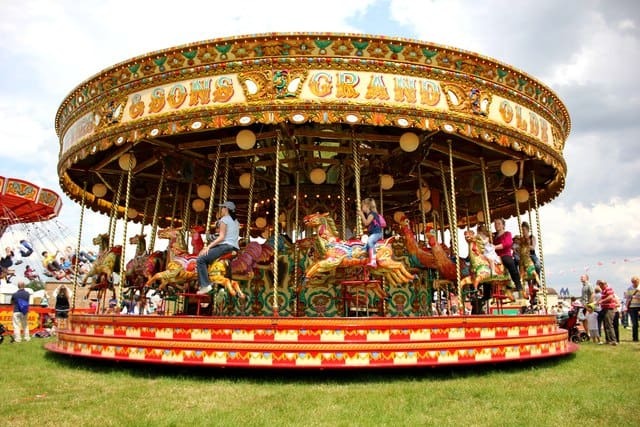 I would set up a carousel ad, for example, with five different blog posts. I always tried to skew the slots toward current blog posts, but some just earned their keep week after week. So I would let a carousel ad run its course, until engagement began to wane, and then create a new one with the top two performers from the last one and three new pieces of content. Even with fresh content, some blog posts earned their keep for a whole month! With a 41% increase in blog traffic from Facebook and a 135% increase in conversions on the website from Facebook, the switch to carousel ads was a resounding success. Have you freshened up your Facebook strategy recently? How did it go? And if you want some help with your Facebook strategy, please feel free to contact me. I love doing this.